ShutterstockHave you gotten a pitch from your bank for a home equity loan? Last year, homeowners recouped about $1.9 trillion in lost value, according to estimates from Zillow. That put more equity in our hands, and in turn led to a return in home equity lending. Granted, we're not at pre-crash levels in terms of total home equity lending, but as values continue to rise in 2014, albeit at a slower pace, lending will continue to rebound. You need equity: To qualify, you need to own more than 20 percent of your home. Lenders are going to want you to have at least an 80 percent loan-to-value ratio, which is the remaining balance on your loan compared with the value of the property. With almost 3.9 million U.S. homeowners freed from negative equity in 2013 and the rate steadily declining across the country, more people will qualify for these home equity loans. During the housing boom, you may recall that standards were just a little "different" ... in some cases, non-existent. Income, credit score important: Sure, banks are looking to speed up sluggish revenue growth by jumping back into the lending game, but they're being cautious about who they lend to -- and rightly so. Don't expect the loan approval process to be easy. In addition to having ample equity in your home and a strong credit score, you must also have income to make your payments. Remember: you're using your home as collateral. Fail to make your payments and you run the risk of losing your home. Banks are also making sure that you understand the repayment period. Know what you want: Does your house need a new roof? Are you interested in consolidating high-interest debts or do you have a large, single expense you need to borrow money for? Then a home equity loan, which usually comes with a fixed monthly payment and interest rate, is best for you. 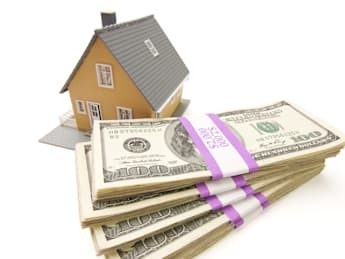 If, on the other hand, you need access to money over a period of time for ongoing expenses (perhaps you have some long-term home improvement projects you'd like to work on), then a home equity line of credit, or HELOC, would make better sense. HELOCs usually have a variable rate that's tied to the prime rate, plus or minus some percentage. Shop around: While big banks used to dominate the home equity lending market (and you should certainly discuss your objectives with banks with which you currently have relationships), credit unions, regional banks, and others have emerged as formidable competitors. These players avoided much of the fallout from the housing bubble, and have been leading the way in granting new home equity loans and lines of credit to creditworthy borrowers. Plus, they tend to charge lower rates.